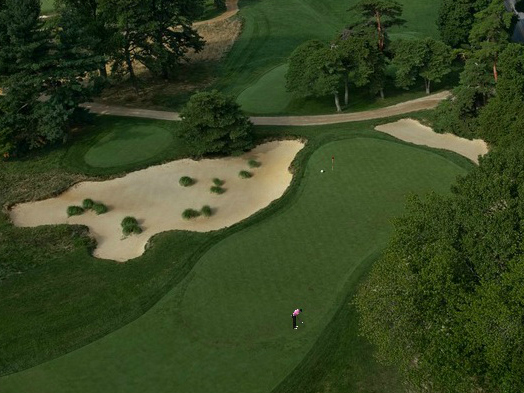 We're two weeks away from the U.S. Open at Merion (can you believe it? ), and WGT players from all over the world continue to challenge the virtual Merion Golf Club championship course on World Golf Tour. 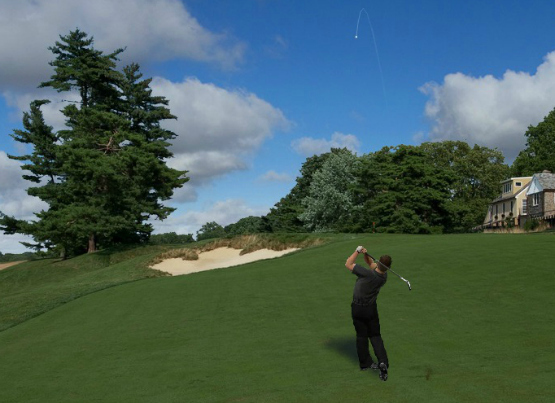 If you haven't played the free Virtual U.S. Open Qualifier yet, or are continuing to play to post a better score, be sure to check out our Merion hole previews on the blog for some pro tips by hole. And keep checking back for more tips and advice as we continue on the #RoadToMerion (use this hashtag to join the conversation on Twitter!) when the top golfers come together at Merion to compete for the title. Watch TREMUX, a Level 98 Tour Legend (who has taken over second place in the Virtual U.S. Open Qualifier) sink a chip shot on Merion Hole 1 in this video replay. He's looking sharp with that Damon Hack Golf Channel avatar! Remember, you can play the Virtual U.S. Open Qualifier as many times as you want to try and post your best score, so keep shooting! The 2013 U.S. Open Championship is fast approaching and we're continuing our course preview of the Back 9 at Merion Golf Club, which is also available to play free online on World Golf Tour. Golf fans may recognize Hole 11 at Merion as the hole where Bob Jones completed his Grand Slam in 1930, as it used to play as Hole 18. It's a beautiful hole and a birdie opportunity if played correctly, but you must hit the blind fairway and avoid the Baffling Brook that runs along the left side, to set yourself up for a good approach over the brook to the teardrop-shaped green. 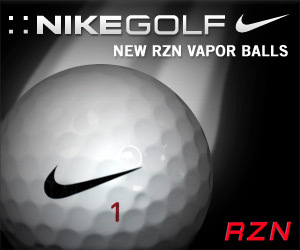 Play it yourself, try Merion Hole 11 free without sign-up on WGT. And if you haven't played WGT yet, join the millions of golfers playing virtual golf free online at wgt.com. It's U.S. Open month on WGT, so the 2013 Virtual U.S. Open Qualifier is in full swing, with more ways to compete on Merion, plus a couple other new features for WGT players. And be sure to watch this blog and our Facebook fan page all month for related news and special WGT promotions. 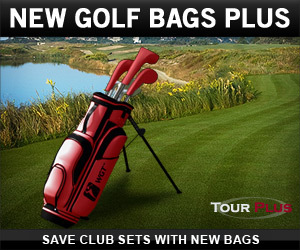 Many top players like to play with club sets optimized for different golf courses and game formats on WGT. With new Golf Bags Plus, you can save your different club sets so you always have the right clubs that are ready to go when you are. Look great on the tee in plaid, blue and white, or red. 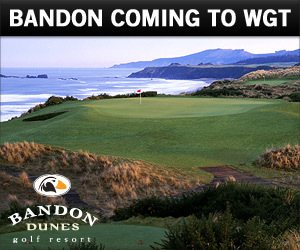 The top request from WGT players is more great golf courses, so we’re excited to announce that Bandon Dunes Golf Resort is coming to World Golf Tour Fall 2014, joining the 18 other championship courses including Pebble Beach and St Andrews. Bandon Dunes is located on the stunning Oregon coast and has been one of the top-rated golf destinations in the world – including being ranked by GOLF Magazine and Golf Digest as the No. 1 Golf Resort in the U.S. In the latest Golf Digest Public Course Rankings, the four 18-hole courses at Bandon Dunes are ranked #3, #6, #12 and #16 (plus a 13-hole par-3 course, Bandon Preserve). It’s an amazing achievement, and for that reason Bandon Dunes is a "bucket list" trip for any serious golfer. Bandon Dunes has decided to create a 9-hole, par-3 course based on players' favorite par-3’s at the Resort. So they’re letting players vote on which of their favorite holes will be included. The 9 par-3 holes that get the most votes will be launched in early 2014 on WGT as a full stroke play course, free of charge. When you’re ready to VOTE for your favorite holes, visit the Bandon Dunes Survey here. And while you wait for the virtual golf course, Bandon Dunes delivers a true links golf experience with outstanding customer service, just contact them directly. 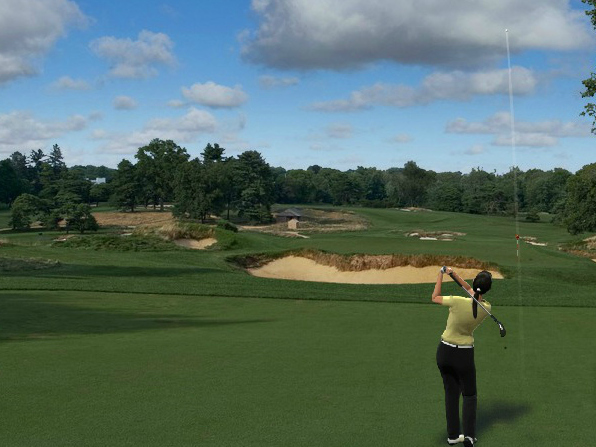 WGT previews the Back 9 at Merion Golf Club, host of the 2013 U.S. Open Championship, which is available to play free online on World Golf Tour. 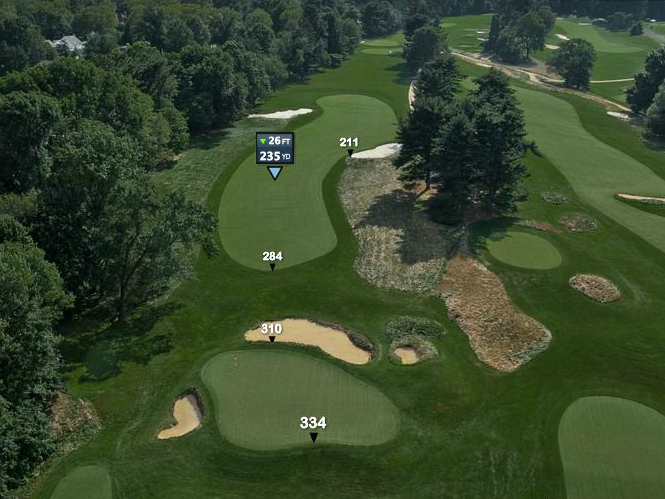 Players at the 2013 U.S. Open will start the Back 9 with a short par-4, making Hole 10 a potential eagle or birdie. However, it requires a right-to-left draw down the tree-lined fairway, with deep fescue rough on the left side, so a lay-up and short iron is a safer choice. Try it yourself! Play Merion Hole 10 free without sign-up on WGT here. Merion Golf Club is one of America's top ranked and historical golf courses, and now available to play free online on World Golf Tour (WGT). 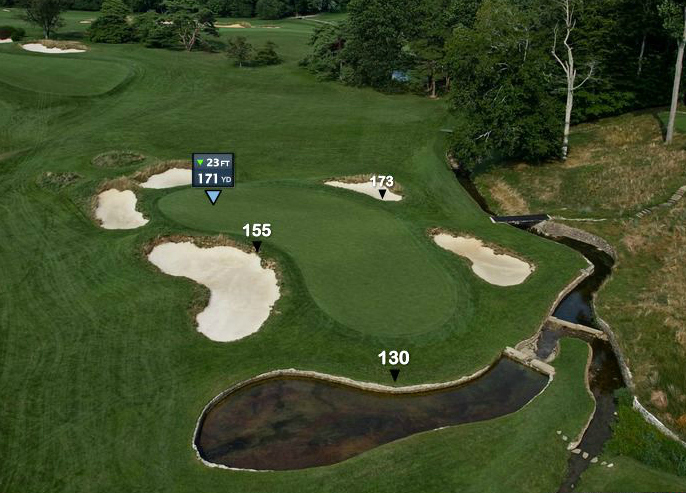 Hole 9 at Merion is a challenging par-3 played downhill to a kidney-shaped green. Club selection is key here, with the water hazard in front and bunker to the left. Expect to see more bogeys than birdies from the field on this one. You can play Merion Hole 9 yourself on WGT, try it free here. Well it's that time of year again where all of us get to enjoy and get familiar with a new U.S. Open course on WGT. Merion isn't the longest course, but it sure has its bite in certain areas. It sort of reminds me of a cross between Oakmont and Congressional. The scenery is similar to Congressional while the greens are high in difficulty like Oakmont. The greens at Merion have a lot of slope and if you are not careful, double bogey with championship green speeds is definitely in the equation even for the top players. The course offers a lot of birdie opportunities but also some holes where making par is a great score. I think this year it's going to come down to the hot putter and the right winds. Obviously being able to reach the #2 par 5 in two, and the #10 par 4 from the tee is gonna depend on the right wind direction, but being able to make those crucial putts around the greens is where I believe the tournament will be won. Good luck qualifying everyone and "hit em straight!" See mrenn29 play (and ace!) 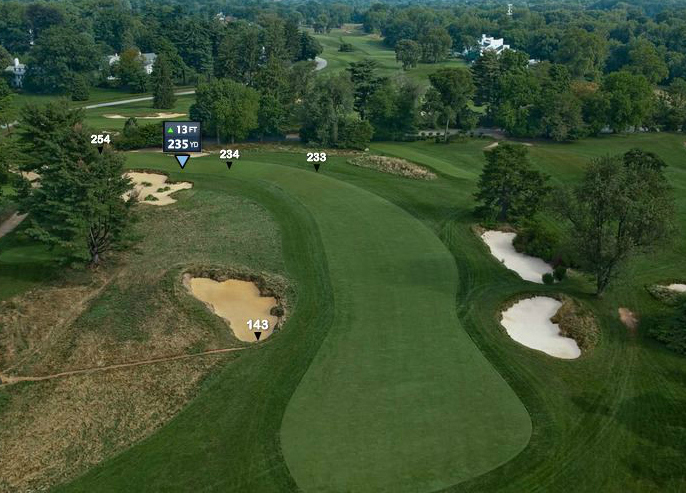 Hole 13 on Merion in this VUSO video replay. Merion Golf Club is the host of the 2013 U.S. Open Championship, and is now available to play free online on World Golf Tour (WGT). Played correctly, Hole 8 at Merion is a good birdie opportunity, but miss the green and bogey is more likely. Choose to use anything from a fairway metal to a long iron to reach the S-shaped drive zone, but be sure to play the shorter approach shot carefully to avoid deep rough and bunkers that surround the small green. Finish strong by reading the contoured putting surface that slopes from back left to front right. Try it yourself! You can play Merion Hole 8 free on WGT here. Don't miss your chance at a grand prize dream trip to next year's U.S. Open. 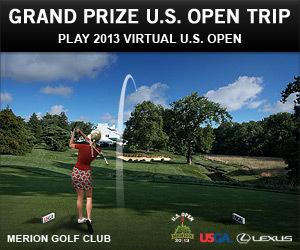 Just play the free 2013 Virtual U.S. Open Qualifier on WGT at Merion for your chance. Both the Virtual U.S. Open champion and one lucky sweepstakes winner will each get a grand prize, a trip for two people to the 2014 U.S. Open at Pinehurst. In addition, everyone who plays will automatically receive a free Lexus virtual avatar and a Lexus virtual golf ball as special gifts from Lexus. *The 2013 Virtual U.S. Open Qualifier tournament is free to enter, runs thru 6/30/13, and is open to WGT players in all countries. See tournament rules for prize eligibility. Merion Golf Club is hosting the U.S. Open Championship for the fifth time this year, and is now available to play free online on World Golf Tour (WGT). 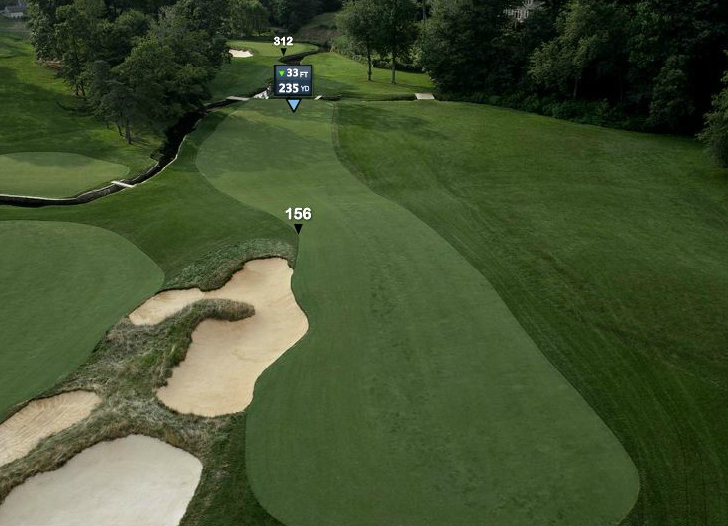 Hole 7 at Merion offers a birdie opportunity as it's a 360-yard par-4. Most players will use long irons from the tee to reach the semi-blind, angled drive zone, setting themselves up for a short approach shot. 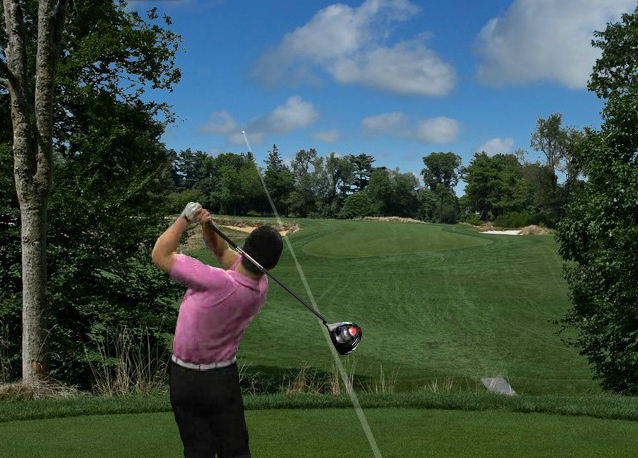 Control your tee shot or you'll face overhanging trees and out-of-bounds on the right side. The large green gives you plenty of space to land, but the three distinct levels and sharp drop-off on the left force you to keep your approach accurate. Try it yourself! You can play Merion Hole 7 free on WGT here.